The practice team aims to deliver high quality patient care in an efficient, caring way with the utmost regard to dignity, respect and confidentiality. NEWS FLASH! From 1st September 2018 our Practice is engaging in a pilot scheme providing improved access for patients to ha range of healthcare professionals. Working within a group of eight local Practices, we will be offering a range of appointments each weekday evening between 6.30pm and 8pm and during selected times at weekends, to registered patients, in at least one of the participating Practices. Please contact our reception team for more details. The doctors provide full General Medical Services to patients on their practice list, including visitors who are temporarily in the area. We dispense to approximately half of our patients. We are fully computerised using SystmOne, our appointments are computerised; and all doctors and nurses consult using the computer record. 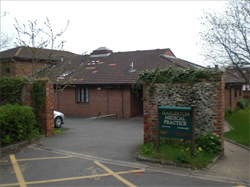 The practice is linked electronically to the Norfolk and Norwich Hospital for pathology. Our practice now offers patients the facility to view areas of their records online. The areas patients will be able to access will include a summary of information relating to medications, allergies and adverse reactions. As well as viewing this information, there will be the facility to download and print it. Please contact reception and complete the necessary forms if you wish to use this service. In order for us to keep your personal data confidential, you may be requested to provide further identification to ensure that we are granting access to this information the correct person. Please contact our reception for further information.